So I’ve already made my claims to the problems with trying to use a cell phone camera as a barcode scanner. Mostly in that it’s lame and not good for more than a couple scans here and there. But we’re still getting customers with iPhones who want to track their inventory with the phone. So after much consternation, and two searches on Google for “iPhone Barcode Scanner”, we’ve got a couple units that should do what you need. 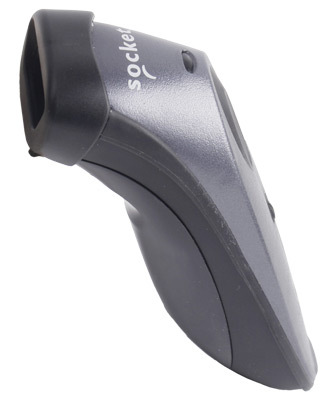 First up is the Socket Cordless Hand Scanner (CHS) Series 7 barcode scanner. Talk about a mouthful. We’ve actually had the CHS up on our site for a few years, but recently they upgraded the apparatus to run in human interface device (HID) mode with a special barcode you scan to configure it to communicate with iPhones, iPads, and iPods Touch (iPod Touches?) There’s also a method for it to work with Blackberries, so the CHS is a solid, rechargeable alternative to the Cipherlab 1660 barcode scanner. This scanner comes with in 3 body designs: Standard for day to day use, rugged for rougher environments, and a rugged antimicrobial housing for healthcare applications. Tracking patient info is getting to be more important everyday, and giving employees the option to use this scanner with a smartphone they already own seems like a great alternative to buying an entirely new device. You also get your choice of standard or high-powered 1D laser or 2D imager as your scanning method, so the CHS 7 definitely can be scaled to meet your exact needs. 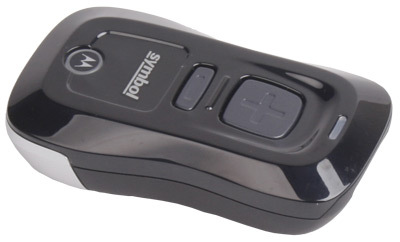 Not to be outdone, the Motorola CS3070, when in Bluetooth HID mode, also connects & communicates with iPhones. This is the combo batch & bluetooth scanner that replaced the aging CS1504 and can hold far more barcodes than is necessary while in batch mode. Though it has only a 1D laser scanner option, the CS3070’s scanner is pretty burly. On a UPC-A barcode, what you see on pretty much every consumer product ever, I was able to scan from about 2 feet away with no problems. Motorola knows laser scanning, and the CS3070 is no exception. We’re still hacking away on the demo units we have, in an effort to make setup as painless as possible. We’ve been getting more calls lately from customers wanting to use their cell phone to scan barcodes and track inventory. Usually they reference various applications that interpret barcodes they capture with their built-in camera and assume that should be more than enough. The big one we’ve heard about lately is the Android Barcode Scanner Software, which is built on the Google ZXing Project. While these apps are good enough for consumer scanning of the odd product for online price comparison, they definitely won’t help you track your inventory. The biggest issue I’ve run into with camera-based barcode scanning is that the devices aren’t designed to scan barcodes. They’re built to get the picture of the dog with the sunglasses when you’re at the farmers’ market, or capture when your buddy’s had a few too many and decided that dancing on the table would be a good idea. Some can zoom, some can focus a bit, but they’re really very average in terms of repeatedly getting a really detailed image of something small. You also run into the issue of illuminating the barcode to better see the contrast between the bars & gaps. Most cameras have an LED flash, which is fine for lighting up stuff a couple feet away. But when the barcode is close enough to get a good read, usually 4-8 inches, the flashes I’ve encountered blow out the contrast or wash out the barcode entirely. It’s just a lot of work for needing VERY ideal conditions. On the other hand, a real, actual barcode scanner is designed to just scan barcodes. Most 2D scanners can do image capture for things like inventory verification, but the images usually look grainy and horrible. But those scanners can read 1D and 2D barcodes like it’s going out of style. There is a higher cost to get this set up, but you end up making it back in saved time scanning. Pairing a cordless scanner with a Blackberry or Android phone does require some secondary software, so it’s not all barcode scanning fun & games. CM Software developed wedge software for the Android & Blackberry that allows the CipherLab 1660 barcode scanner send whatever it scans into an open text field. You were probably wondering when I’d start talking up something we sold. Well there it is. The 1660 runs on a couple AAA batteries and with the CM Software wedge, you’re set as a lower-cost data collector. Opticon’s OPN 2002 can also connect with Blackberries, but it is considerably more expensive than the 1660. However, it runs on a rechargeable battery that charges over mini USB, so there’s a bit of a feature trade off there. These options really are ideal for people needing to scan more than a few barcodes a day. I don’t recommend dropping 300 bucks to scan the occasional Dio CD to see if it’s cheaper on Amazon, but if you’re looking at keeping track of stuff you own or stuff you loan out, it might be a good investment. And if you’re a business owner, going with a legit inventory management system is a no brainer.